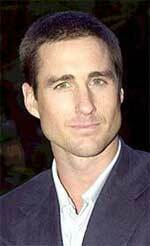 Attending college together, Luke Wilson shared a house with his brother Owen and future filmmaker Wes Anderson. The three friends made their first film together, Bottle Rocket, as a short subject in 1994, then as a feature film in 1996, when Hollywood producer James L. Brooks helped them find financing. The Wilson brothers' father, Robert Wilson, was the manager of the public television station in Dallas in 1974, when it became the first American station to import and broadcast episodes of Monty Python's Flying Circus.